Justin Paul has done it again! 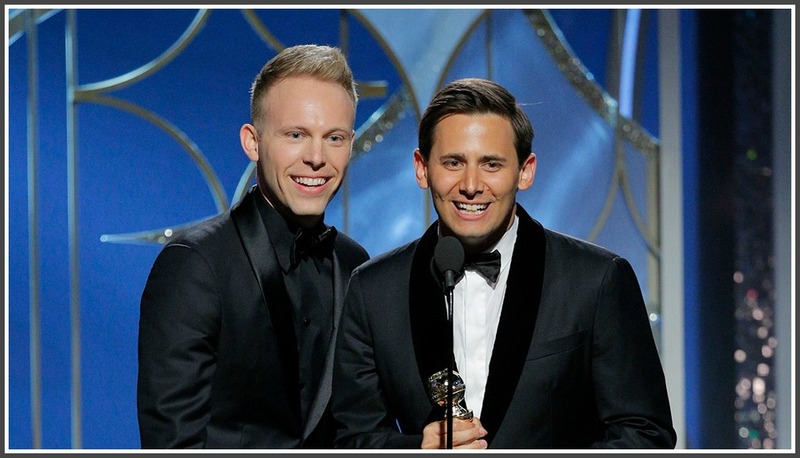 The 2003 Staples High School graduate and his songwriting partner Benj Pasek snagged a Grammy today. “Dear Evan Hansen” won for Best Musical Theater Album. Most songwriters would consider that a career-capping coup. 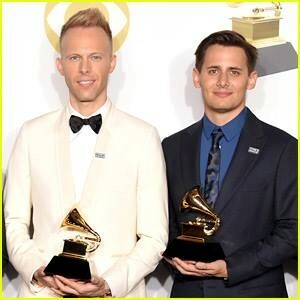 But for Pasek and Paul — neither of them old enough yet to run for president — the Grammy is merely one more award in a year that’s been packed with them. The duo have already won an Oscar (for “La La Land”) and a Tony (“Dear Evan Hansen”). 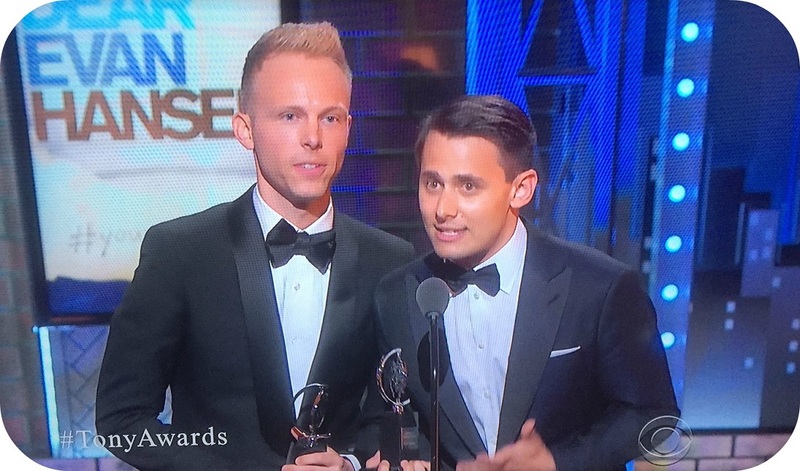 Justin Paul (left) and Benj Pasek, accepting their Tony Award last year. If they receive an Emmy, they’ll not just have the exalted status of EGOT (Emmy, Grammy, Oscar Tony). They’ll be the youngest ever. Of the 12 EGOT performers, the youngest so far is composer Robert Lopez. He was 39 years old — and it took him 14 years. It’s possible that they could complete entertainment’s holy grail later this year if nominated for their work on Fox’s A Christmas Story Live!, which they wrote just as they did the original Broadway production it was based on. Say they don’t do it then? No matter: They can just ask their good friend Damien Chazelle to let them do the music for his new TV projects, or, really, just put their golden touch on anything televised. Then again, Pasek and Paul might invent their own category: EGOTGG. Move over, PT Barnum. Justin Paul and Benj Pasek may well be the greatest showmen ever. 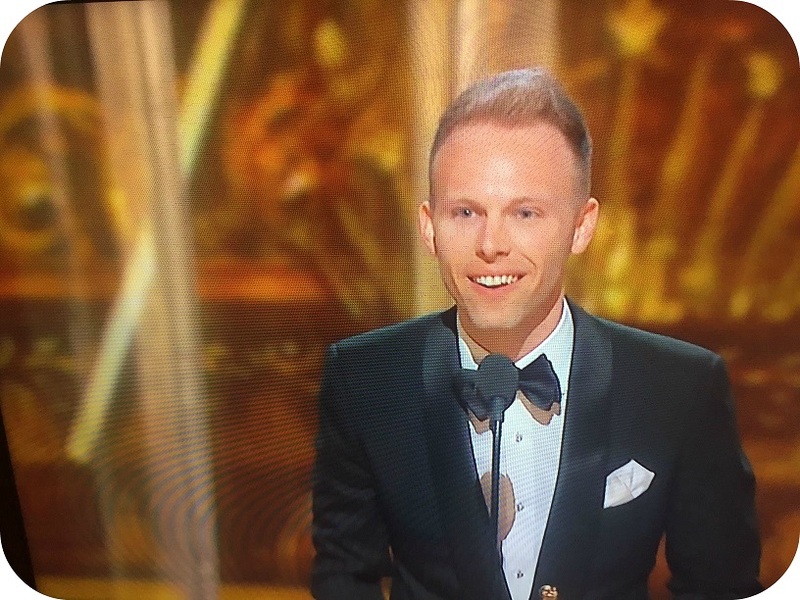 Justin Paul’s Next Oscar: P.T. Barnum? 2017 was quite a year for Justin Paul. Pasek and Paul contributed 11 original songs to “The Greatest Showman.” The 20th Century Fox film premieres December 20. 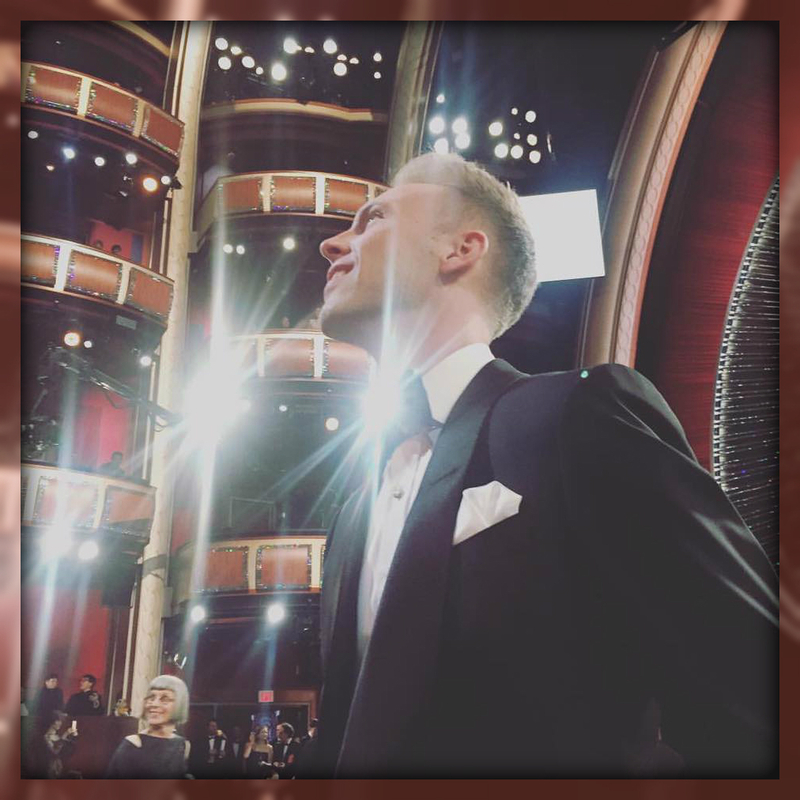 Justin Paul at the Oscars. The other day, Pasek and Paul took time out from rehearsals of Fox TV’s live musical “A Christmas Story” (December 17, with Maya Rudolph and Matthew Broderick — no, they never stop working) to talk to the Reporter. We were, of course, intimidated because he’s such a master of musical theater, especially onscreen. But we were also inspired to write for a lead character that will be portrayed by Hugh, with all of his abilities and his vocal range and everything. It gives a songwriter such clear parameters of the playground, and with Hugh, it’s a really big one. We view this as a window of time. Maybe it lasts for a while and maybe it doesn’t. The winds seem to shift sometimes, and we’ve obviously seen periods where people have really embraced musicals and periods where it’s really fallen out. But there are people who aren’t necessarily Broadway fanatics like we are, who still want to see a musical on Christmas with their families. As for all the [awards season] events, we definitely feel funny getting dressed up for something because we’re intentionally behind the scenes. There’s such a humbling neurosis that goes along with writing because no matter what you’ve done, the next time you go to write a song, you’re standing at a piano and there’s a high probability that you’ve struck out the first time you try, no matter what. That will never change. Last night was another big milestone for Justin Paul. 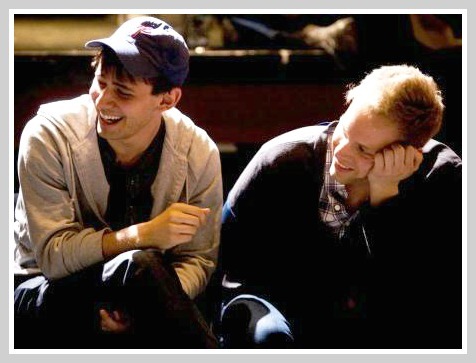 The 2003 Staples High School graduate and his writing partner Benj Pasek won a Tony Award for Best Original Score (“Dear Evan Hansen”). They shared another later in the evening, as the show was named Best Musical. Before the ceremony, NY1 caught up with the white-hot duo on the red carpet. During the brief interview, Paul named David Roth (Staples High School), Ben Frimmer (Coleytown Middle School) and Kevin Connors (Music Theatre of Connecticut) as important influences while growing up. 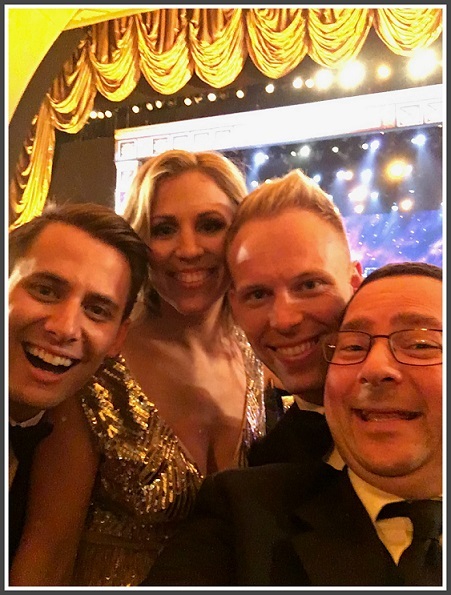 Benj Pasek (left) and Justin Paul (3rd from left) celebrate at the Tonys last night with Paul’s wife Asher and Coleytown Middle School director Ben Frimmer. The duo later shared another Tony, as the show was named Best Musical. There are many more awards to come, for the hottest young songwriters on stage and screen. But chances are the former Staples Players star will never forget his first ones. Justin Paul (left) and Benj Pasek, accepting their Tony Award tonight. 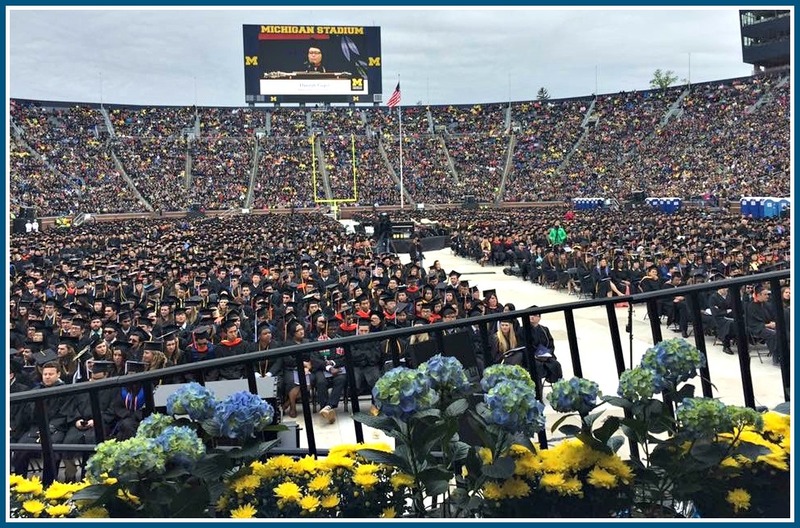 Saturday’s University of Michigan graduation ceremonies — coinciding with the 200th anniversary of the institution — caused a bit of controversy. Some students were disappointed there was no keynote speaker. But everyone loved the entertainment. 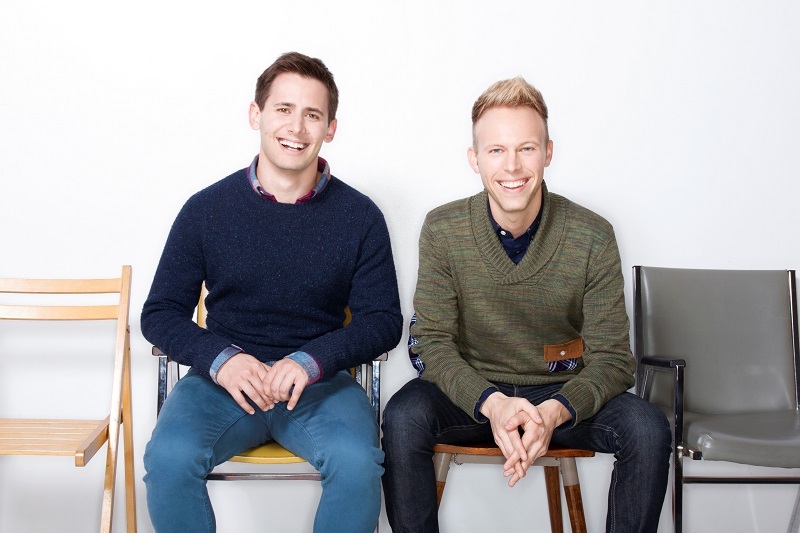 Justin Paul — the Staples Class of 2003 alum — joined with songwriting partner (and fellow Michigan Bicentennial Alumni Award winner) Benj Pasek in a special musical performance. The Oscar and Golden Globe Award winners — accompanied by UM School of Music Theater & Dance seniors — entertained the 10,758 graduates and many more family and friends with “Amaizing Blue Medley.” It included songs from the duo’s “La La Land” movie and “Dear Evan Hansen” Broadway smash, along with original references to UM. Click below for a video of the cold and windy but energetic event (which unfortunately omits the “Amaizing” pun in the graphics). Justin and Benj begin at the 2:30 mark. Congrats to the UM graduates from Westport: Siri Andrews, Perri Cohen, Jonny Denowitz, Jen Dimitrief, Anna Fiolek, Louisa Freeman, Jason Hoving, Julia Kaner, DJ Petta, Rusty Schindler, Lily Seo and Bailey Valente. The view from the stage of the 109,000-seat stadium. Justin Paul and his songwriting partner, Benj Pasek, won Oscars tonight for “City of Stars,” the signature song from “La La Land.” The lyricists were honored for another song — “Audition (The Fools Who Dream)” — from the same film. So they had 40% of the category locked down. The 2003 Staples High School graduate used part of his acceptance speech to give a shout-out to the importance of the arts for young people. “I was educated in public schools, where arts and culture are valued,” Paul — a product of the Westport school system — said. At a time of pressure from STEM (science, technology, engineering and math) state requirements, as well as the possible elimination of the National Endowment of the Arts, Paul made sure to thank all the teachers who helped nurture him. He did not mention them by name, but former Staples High School choral director Alice Lipson and current Staples Players directors David Roth and Kerry Long were enormous influences. So were Coleytown Middle School director Ben Frimmer, and Kevin Connors of Music Theatre of Connecticut. Paul and Pasek’s Oscar is the latest in a string of awards for the young duo. Earlier this year, “City of Stars” earned a Golden Globe. And that comes on the heels of the success of Broadway’s “Dear Evan Hansen,” for which they wrote the music and lyrics. 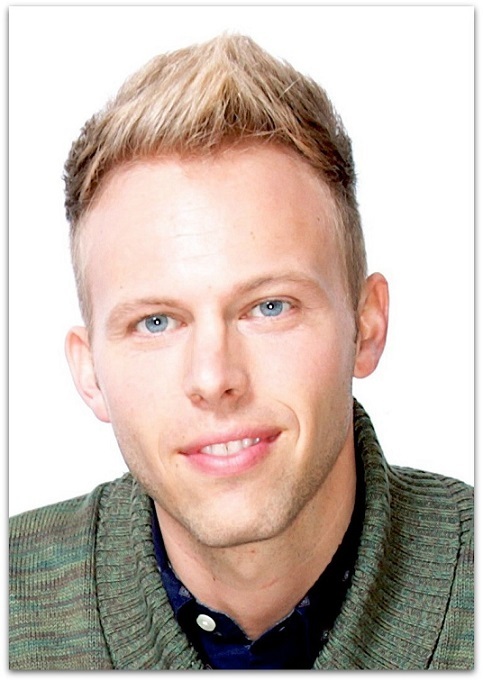 Justin Paul is no stranger to Broadway. Growing up in Westport, he saw plenty of shows on the Great White Way — and dreamed of getting there one day himself. Next month, the 2003 Staples grad is back. 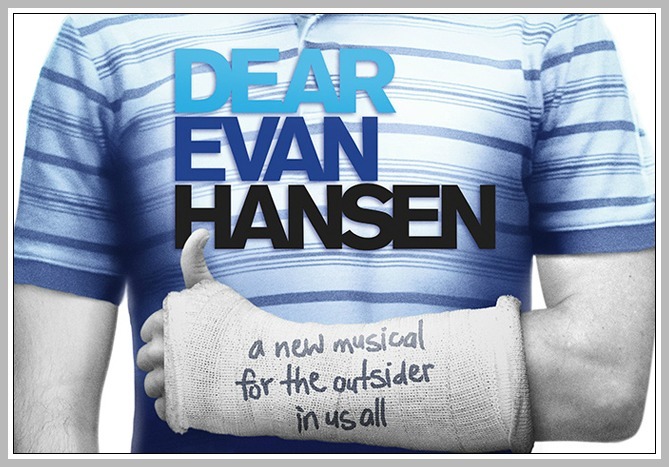 “Dear Evan Hansen” — the darkly funny show he and Pasek wrote that earned Obie, Outer Critics Circle and Helen Hayes Awards during its run at the Second Stage Theater — moves to the Music Box Theatre on 45th Street. Previews begin on November 14. The official opening night is December 4. It’s another feather in the cap of the young Westporter. It’s also a ton of work. The move from a 299-seat theater to one seating 860 demands physical changes — tweaking and adjusting the set, staging and lighting. It also forces the songwriters to look at ways to make the show “fuller, deeper and richer,” Paul says. They’re adapting some lyrics, rearranging some music and honing the characters. Paul calls the changes “surgical.” It’s all part of the creative process. “Dear Evan Hansen” is not your typical Broadway show. With the tagline “a new musical for the outsider in us all,” it focuses on a teenager who becomes involved in another teen’s tragedy. Pasek and Paul tell an important story, one nothing like the adventures of a lion or witches. Though they’re 2 of the hottest young songwriters in the country, the duo did not set out to write “Dear Evan Hansen” as a Broadway show. They thought the subject matter would appeal to a non-profit company. But they wanted the play to speak to more than their own generation of millennials. Director Michael Greif (“Rent,” “Next to Normal”) and their producer encouraged them to widen their lens. The show is based in part on an incident at Pasek’s high school in Philadelphia. But Paul — who met his writing partner at the University of Michigan — also recalled another tragedy: 9/11. He was a junior at Staples, and remembers the many raw emotions unleashed by that event in his school so close to New York City. Now “Dear Evan Hansen” has transcended its small-house origins. It’s rare for an original show — not a book or movie adaption — to make the leap to Broadway. But Westporters know that Justin Paul is a rare songwriter. Soon, all of Broadway will know it too.